Rihanna has unveiled her River Island Campaign. This campaign features Jourdan Dunn, Charlotte Free, Tao Okamoto, Ataui Deng and Bambi Northwood Blyth. What do you think of this campaign. I love it. This range will be available in stores on March 5. I can not wait. Finding the perfect jeans is sometimes a very difficult task for most women. I know I have major problems finding the right pair because I am so petite at 5’2, most of the pairs I like that look good on me. I always recommend trying all clothes before you buy them, especially jeans or trousers as they can be very tricky. I have compiled a list of some cool pairs of jeans. They are tried and tested by various women with different body shapes so have a look here and take a peep at the online stores via the link attached. 1. Mid Blue Boot Cut Jeans by Rocha. John Rocha: You can get this pair at Debenhams; it currently costs £27. 2. Life in Progress Periwinkle Faded Skinnies by Forever 21: I love this fresh colour, it currently costs £24.75 at Forever 21. 3. Nichelle Skull Stud Skinny Jeans in Burgundy by Misguided: This beauty currently costs £19.99 (Bargain) at Misguided. 4. 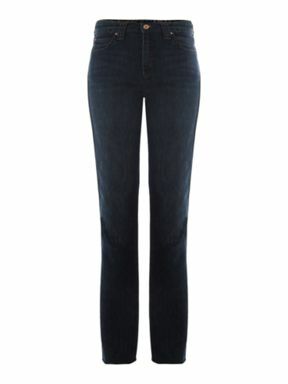 Mid-rise Skinny Corduroy Jeans by Victoria Beckham: You can get this luxury pair for £195 at Harvey Nichols. 5. 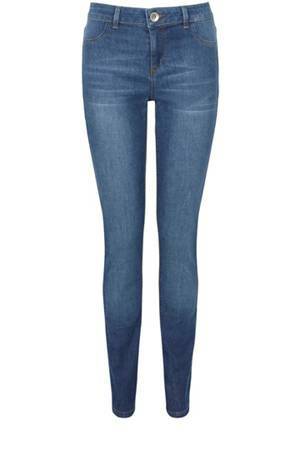 Straight Leg High Rise Jeans by Armani Jeans: This pair currently costs £132 at House of Fraser. 6. Authentic Wash Jade Jegging by Oasis: This pair currently costs £40 at Oasis.